Operating under the North South Nautical Group banner, North South Yacht Sales specializes in the sale of pre-owned power and sailing yachts, along with the sale of selected new vessels. With its head office based in Port Credit Harbour Marina, North South Yacht Sales is one of the largest yacht brokerages in Ontario with several locations throughout the province. In addition, the NSNG team has recently expanded into Quebec and maintains strategic alliances with brokerage firms in the United States and the Caribbean. 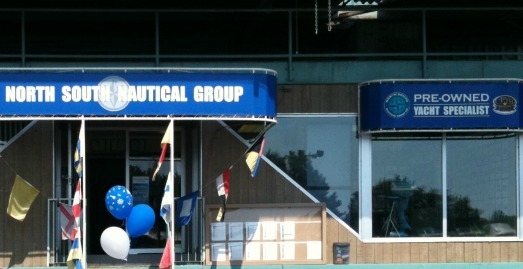 Heading up North South Nautical Group Inc. is Mike Burns, President. Burns has an extensive knowledge of the marine industry, and brokerage sales in particular. In addition to being a Certified Professional Yacht Broker, Burns was the General Manager of the largest yacht brokerage in Canada, Clift’s Marine Sales, for more than 6 years. He serves on the Certification Advisory Committee for the Certified Professional Yacht Broker program, is a past member of the Board of Directors for the Yacht Brokers Association of America and Boating Ontario Dealers, and also serves on an advisory committee for the Toronto International Boat Show. Working closely with these esteemed organizations, and adapting the high level of standards and practices that these organizations demand enabled North South Nautical Group to become the first yacht brokerage in Canada to attain the recognition of CPYB Endorsed Brokerage.